What is and how to do Scientific Research? What is Invention, Innovation and Technological Development? These questions were answered at the 1st Scientific Workshop held by the Management Office of the National Space Program (GGPEN), on March 22, 2019, in the auditorium of the Telecommunications Institute (ITEL). The objective of the event, organized by the Department of Space Science and Applied Research (DCEPA) of the GGPEN, was to promote a critical reflection with teachers, doctors, masters, researchers and inventors of the Knowledge Park of the Ministry of Telecommunications and Information Technology (MTTI) , in the urban district of Rangel, in Luanda, on how to do scientific research and bring the differentiation of what is an invention, innovation and technological development. Welcoming remarks were given by the ITEL General Manager, André Mpumba Pedro, while the GGPEN General Director, Zolana Rui João, was the official opening ceremony of the 1st GGPEN Scientific Workshop. This was followed by the presentation by Dr. Gilberto Gomes, responsible for the DCEPA, who discussed the proposal for the Restructuring of the System of Scientific Research and Technological Development of the GGPEN in collaboration with other institutions of the MTTI Knowledge Park (ITEL, CFITEL and ISUTIC) in the first stage. Also in the program was the Invention, Innovation and Technological Development theme, by MSc. Dionísio Fama Noque, Coordinator of the ITEL Technology Center who clarified the difference between the three subjects. The speaker emphasized that invention is conceived, that is, the emergence of something new. In addition, innovation has to do with renewing for use, especially with added value, which leads people to buy or consume. While the concept of technological development is applied to a product line, to a place, or a society, with technological evolution resulting from the merger between Research, Invention and Innovation. The golden point of the event was a special lecture given by Professor Ricardo Queirós (PhD) of the Faculty of Engineering of Agostinho Neto University and Consultant of the Ministry of Higher Education, Science, Technology and Innovation, under the theme: O is and How to do Scientific Research? In this particular, the lecturer introduced the basic principles of scientific research, recommended the way and the next steps in scientific research, focused on the production of new knowledge. The communication of the results of the same is of paramount importance, because “the process of scientific investigation does not end until there is no communication of the results in internationally renowned scientific journals or annals of congresses to better evaluate the impact,” said Professor Ricardo Queirós . He added that scientific research is the driving force behind the development of societies as such, just by looking at where those countries are that do not make them comparatively to others. 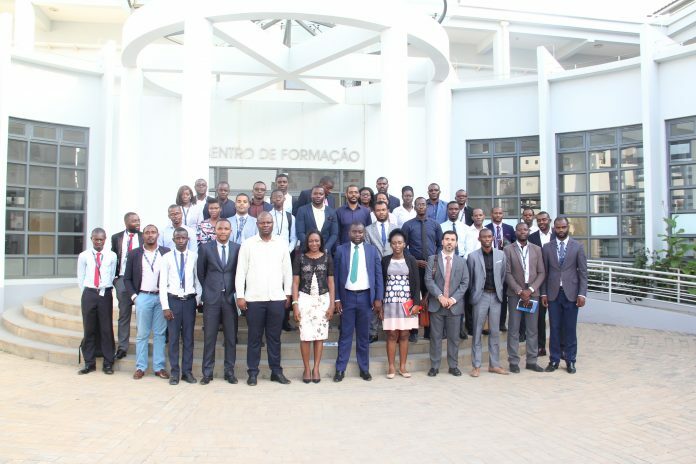 It was also based on his presentation, the sharing of experience on examples of the daily practice of science in the Angolan academy in recent years, which generated considerable reflection on the part of those present. The meeting was very fruitful because it reminded those present of the need to invest in scientific research, innovation and technological development to improve our quality of life, as a result of the funding of scientific research projects with social impact by the government through MESCT.